hillviewasb.com: Hillview Flag Football Team Wins Again! 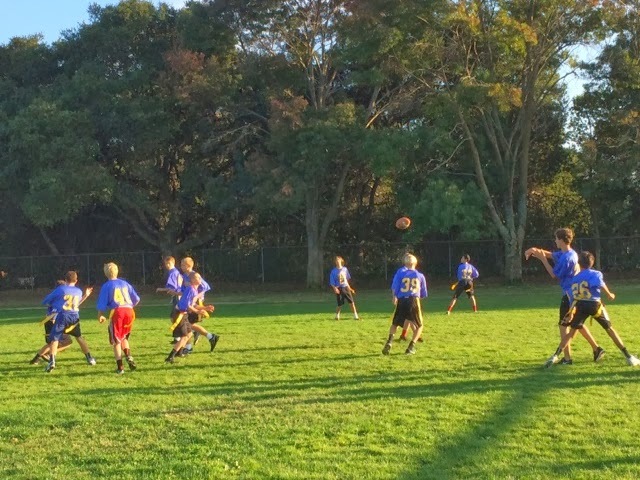 Here are the 8th grade boys Flag Football team warming up before their game against Termin Middle School. Hilllview ended up winning 20-19!! They won on the last play of the game from a pass from Reed V., caught by Michael S.